Hello friends! Thanks for stopping by for another edition of Friday's Fancies. I really need to figure out how many this has been. Over the past few months I feel like Friday's Fancies has actually helped me to figure out my personal style. This is a total bonus to FF. I was invited by BlogSpark to participate in a Proctor & Gamble 24Hour Cascade Challenge. The challenge is to bake a FRESH blueberry cobbler and leave the pan in the sink for 24hrs. (read: NO problem in our house!) Then test the cleaning results of Cascade ActionPacs! I can't wait to see how this turns out. Blueberry Cobbler for my hubby + no immediate cleaning for me = happiness! Do any of you want to participate?!? P&G + BlogSpark sent me samples of Cascade ActionPacs to send my readers and I would love to pass them along. If you are interested leave me a note in the comments section + I will contact you for your mailing info. 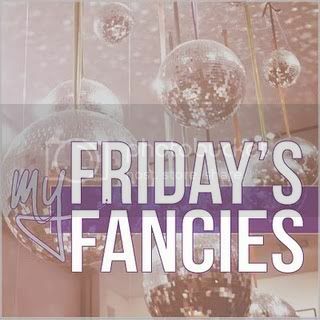 On Monday I will choose a random Friday Fancies commenter to win the entire prize pack! Exciting! So my FF outfit was inspired by this challenge. How can you have blueberry cobbler WITHOUT fresh blueberries? It wouldn't be right. My own blueberry bush is starting to bloom, but I am going to have to go the the farmers market or local farm to get some fresh ones. Yum! Have a great weekend! I love that necklace!! Have a great weekend! LOVING that boatneck sweater!! Looks perfect for blueberry picking! And that aqua-stoned necklace just makes the outfit pop!! I use those Cascade ActionPacs and they are amazing! I have no doubt your dish will come out sparkling. Love your Friday Fancies, BTW! OMG - your wedding pics are amazing!! I'm doing navy and green too, so I loved your photos - and I can't believe those dresses were from Target! Seriously! They are so cute and look expensive. Thanks for sharing that with me. ahhh...blueberries are like a daily ritual to me ...& in cobbler? well yes, please :) p.s. that top looks so cozy!